Starting foundation for the house in North Carolina! Literally just piles of dirt and the cement foundation. 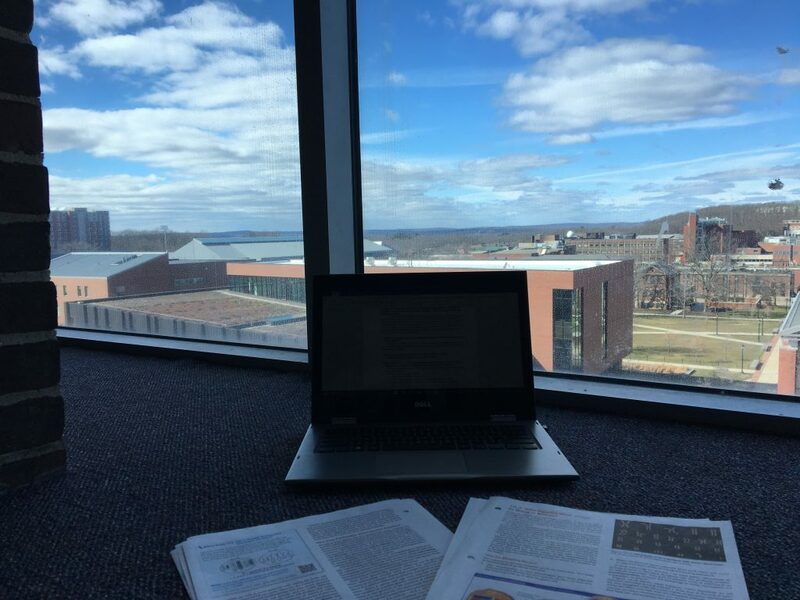 Spring break is typically something you look forward to, starting with day one of the spring semester. It’s a time for relaxation, sleeping in and even finding some time to catch up on any of that work you might’ve missed. If you’re looking to get more out of your spring break though, UConn has so many different opportunities to offer! My freshman year, I was completely overwhelmed by the many clubs and trips that exist, but luckily I had a friend who helped me find out about this amazing club she was in called Honors Across State Borders (aka HASB). 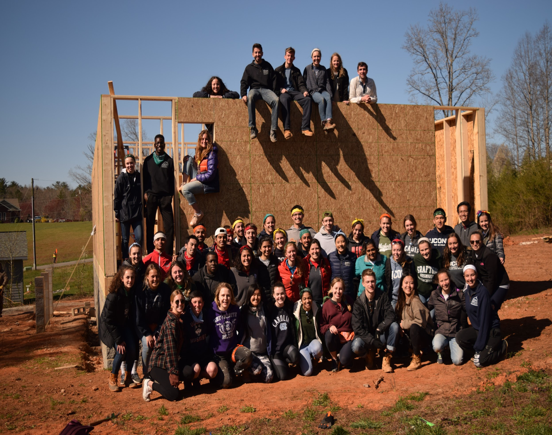 For spring break, HASB takes a road trip somewhere in the United States and works with Habitat for Humanity. I first did it during my spring break freshman year and we went to Nashville, Tennessee, which was absolutely amazing. As a country music fan living in Connecticut, I was excited to have the opportunity to go see the Country Music Hall of Fame and everything else the south has to offer in just a short 20 hour bus ride. Going into the trip, I had zero experience with power tools and left the trip an expert with a circular saw and nail gun (much to my mom’s dismay). We worked with some incredible people like Tash who has worked with Habitat for Humanity for years and taught us how to side an entire house! Author hammering some of the thousands of nails for the floorboards. I recently went on my second trip with HASB a couple of weeks ago to North Carolina this time. We were able to explore Winston Salem and had a totally different experience being in the rural countryside. Instead of siding, we were able to quite literally see the house being built from the ground up. When we first got to the site, there were only piles of dirt and the foundation. Over the course of 5 days, we were able to install trusses, hammer in thousands of nails for the floorboards and eventually get the walls up! 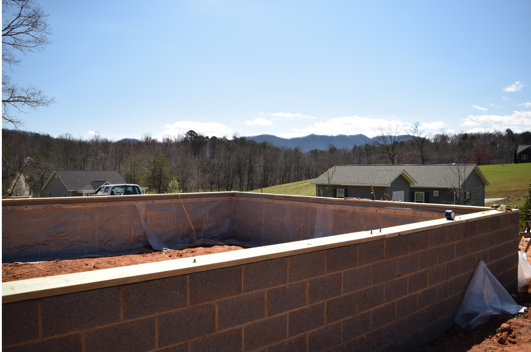 The Habitat for Humanity workers were extremely grateful and said that we were able to put their construction over 5 weeks ahead of schedule. Going on a trip like this was a great way to spend spring break. I was able to learn many construction tricks and I met a lot of people who were dedicating their lives to Habitat for Humanity, which was really inspiring to see. 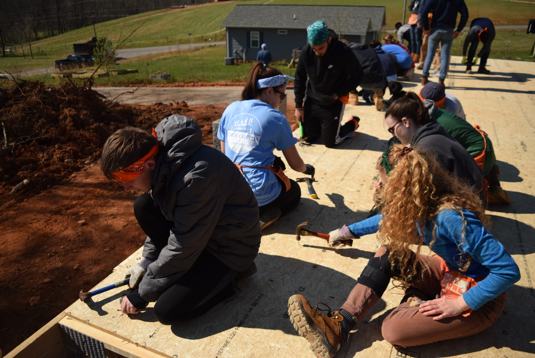 I chose to do service through Honors Across State Borders, but there are many other service trips you can do through UConn’s Community Outreach or other organizations. Taking part in an opportunity like this is a great way to make new connections with people you might not otherwise meet and allows you to get some service in over your spring break. I would definitely recommend exploring different ways to give back over break because it really is such a fun and rewarding experience. All 53 club members on the last day sitting in front of the walls they just put up! Getting involved: How Joining Has Helped Me Grow as an Individual. Being told to “get involved” in organizations and clubs around campus is common advice for college freshmen. How one gets involved, however, is completely up to them. 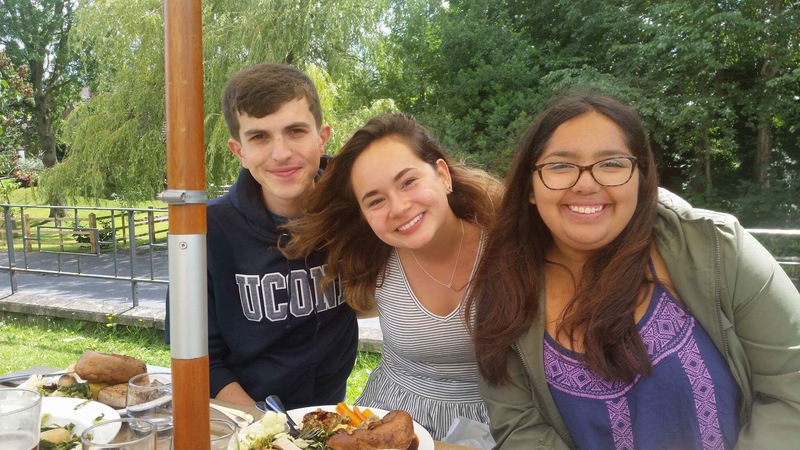 University of Connecticut offers various clubs, sports and events that students can join to meet other students and staff and network throughout the college. 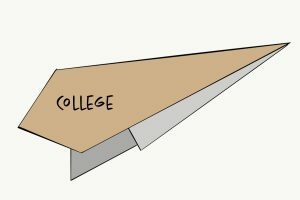 Personally, there was a part of me that dreaded the part of college that required me to move to an entirely new area and be surrounded by people I didn’t know. I was an extremely shy and quiet child growing up, and social anxiety was a very real thing for me. I didn’t always live in Connecticut. Growing up, I lived in a large suburb of Syracuse NY, and because I had been raised there and knew everyone in my class, I had never really had to integrate into a new school or setting before. That was, until I moved to Connecticut my freshman year of high school. Considering the type of person I was, moving away had been a hard but good thing for me. It forced me to go out of my comfort zone and meet new people. However, at that time in my life (due to some injuries, family illness and housing issues), I did not get extensively involved in the community or my schooling, other than participating in some extracurricular sports. 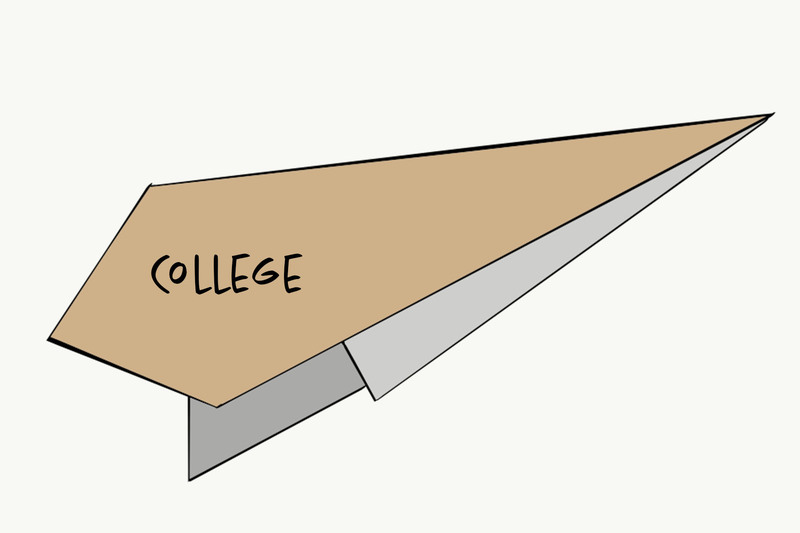 Although slightly terrified, I saw college as an opportunity to grow and to discover my own potential. I wanted to stop living my life in fear, and so I took the leap and forced myself to go to both the involvement fair on Fairfield Way and the Ice Cream Social that the Department of Animal Science was hosting that fall for new students. It was in front of the George White Building that I had talked to some of the sisters from Sigma Alpha, a professional sorority for women in agriculture, and also to members of the equestrian team. 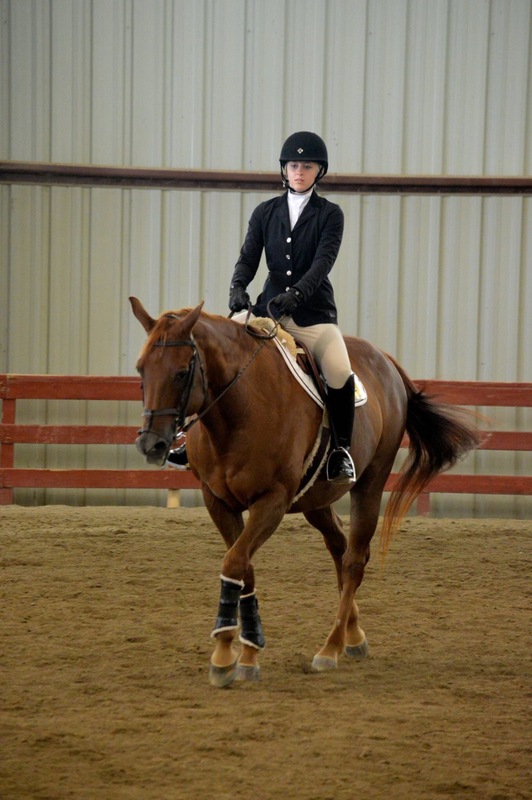 Although I was nervous (since I had only been riding for a year at that time), I went to the equestrian team tryouts and tried out for Walk/Trot. A few days later, I was surprised to find out I had made it on the team! 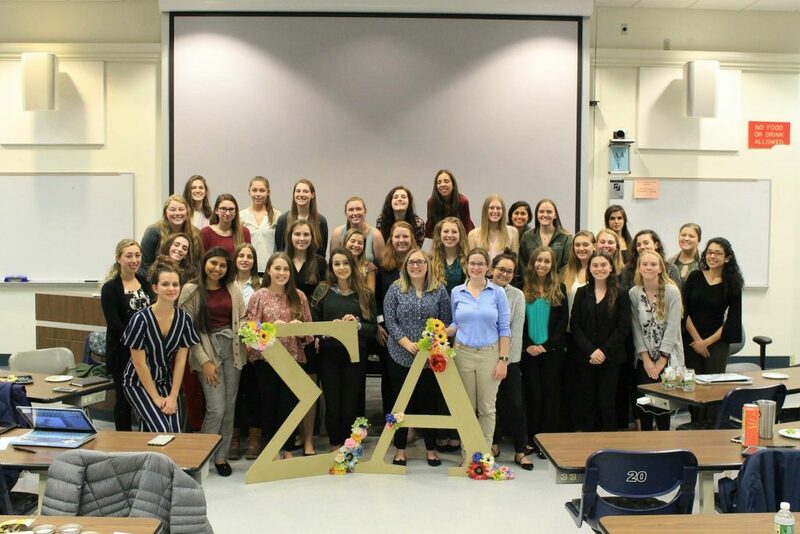 About a week later, I also decided to attend a recruitment week event that Sigma Alpha hosted in the East Campus dorms, and found myself joining a sorority. Within just a month of being on campus, I had found myself both on a team and joining a sorority, both of which I never would have expected of myself back in high school. Never at that time would I have anticipated the team or the sorority to have much of an impact on my life. Being on the equestrian team helped me to befriend many great people, and through it I learned not only how to improve upon my riding and better care for horses, but also how fun horse shows can be. The lessons helped me to get into better physical shape, and gave me something to look forward to when classes became stressful. Unfortunately, due to health reasons as well as a very busy schedule, I no longer ride on the team itself, but I hope to participate in the riding practicum again this upcoming fall once I’m back in good physical shape and my schedule is freer. Although I am unable to ride this semester, I still find myself visiting the barns to see the horses and to help plan for this year’s Sigma Alpha Horse Show. Had anyone told me back in high school that I would join a sorority, I would have laughed. When I thought of sororities back then, partying and socializing came to mind and I never really enjoyed large crowds. 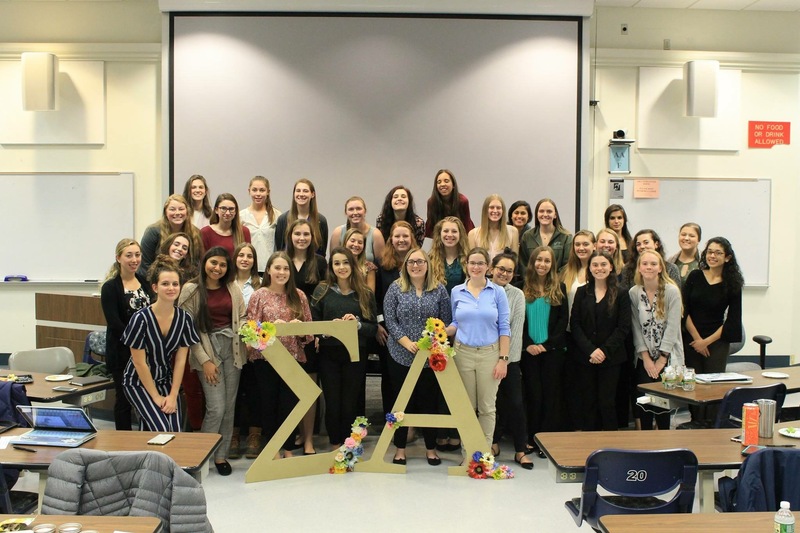 Sigma Alpha, however, was different in that it was a professional sorority that promoted fellowship in a way different from going to large parties. I was able to talk with many of the sisters one-on-one and realized that this organization was a good fit for me and could potentially help me achieve my goals of becoming both more involved on campus and less socially anxious (or at least better able to manage my social anxieties). So many opportunities have come my way since joining this sorority. It all began when one sister helped me get a position on the Academic Integrity Hearing Board. The next semester, another sister had told me that Dr. Safran in the Department of Animal Science was looking for Teaching Assistants for her introductory nutrition class, so I followed-through and got a position. Then, when discussing how I needed more internship/shadowing hours at a veterinary clinic, another good friend and sister recommended I intern at North Windham Animal Hospital during the summer, which is now where I work as a Vet Tech Assistant and Receptionist. Another sister told me about the College Ambassador Program, which I likely would not have known about or applied for had I not been in Sigma Alpha and built up my confidence. This Ambassador program in turn has not only helped me to become more confident in my presentation and leadership skills but has also opened up a completely new and exciting opportunity for me. Had I not become a college ambassador, I would not have been offered the opportunity to work with Dr. Bushmich to plan a One Health seminar, which turned into a One Health Class, for which I am currently a Teaching Assistant. A few of the other ambassadors and I started up a Students for One Health Club on campus that, since its start this past semester, has gained over 50 members on UConntact! Now I have found myself becoming the vice president of a club and helping to give presentations every other Tuesday, something I never would have expected from myself in years past. Lastly, the sorority elected me to become this year’s Horse Show chair, thereby handing me the responsibility of planning and running the annual horse show. Planning for this show has not only allowed me to utilize the skills learned from previous leadership opportunities but has also taught me quite a bit about event planning, advertising and the importance of clear communication. Had I never joined this sorority, I would have never gained the skills and knowledge that I have now, and I would have never met the people who hold such an important place in my life. Finally, there is one more club that has thoroughly changed me and my life for the better. It was in April of 2017 that I finally worked up the courage to sign up for a tandem skydive through UConn’s Skydiving Club. Skydiving had always been something I found intriguing but I was always too terrified to attempt. However, when I found out that the club hosted a tandem weekend with discounted tandem skydives, I knew that if I didn’t try it now I would probably never try it. Unlike some of my friends currently on the team, I never saw myself jumping out of airplanes for fun until I did my first tandem skydive and realized I absolutely loved the feeling of being in freefall and the views under canopy. 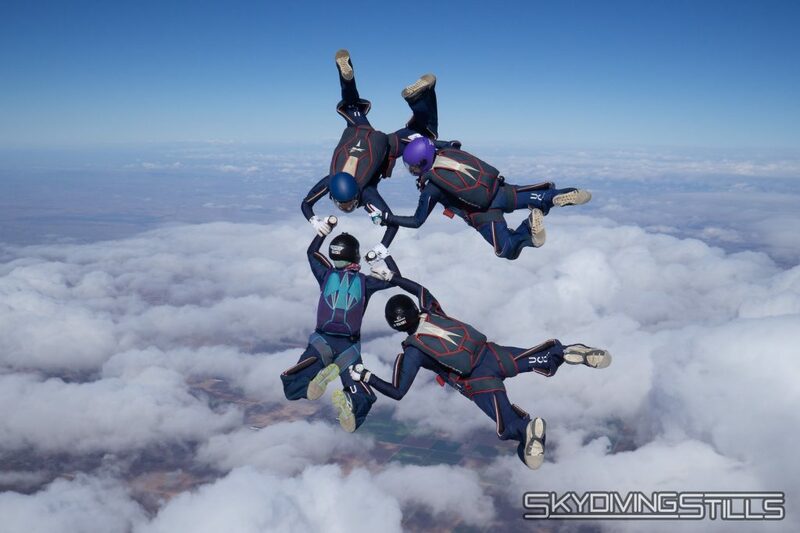 Once I learned more about the sport of skydiving and made a second tandem skydive (just to be sure), I committed to getting my skydiving license so I was able to jump on my own and eventually jump with others competitively and for fun. Not only have I learned a lot about the sport itself, but I learned that I am capable of so much more than I ever imagined. Skydiving is not just fun to me, but also a huge confidence booster as well as a stress reliever. Through this sport I have met some of the most amazing and unique people around and have had some spectacular adventures, creating the best memories with all of them. I write about these experiences today with the hopes that they will motivate someone with similar feelings and experiences to those I have had, to work up the courage to attend that club meeting or join that organization you may have been interested in but were either too nervous or too busy to consider at the time. Had I just said “Eh, I’m not qualified and shouldn’t even bother,” and skipped Equestrian Team tryouts that morning, I would have never made it on the team, met some of the greatest equestrians, and learned as much about good horsemanship and riding as I know now. Had I let my nervousness get the best of me and skipped that recruitment week meeting for Sigma Alpha and stayed in my dorm room that evening, I wouldn’t have formed the close ties and relationships with those in the sorority, which has given me an amazing support system as well as some unexpected and amazing opportunities to grow. Had I chickened out of doing my tandem skydive that morning, I wouldn’t have met some of my favorite people, gone on half as many adventures, or gained the confidence in myself that I have now. Had I not joined any of these three organizations, I can guarantee that I would not be the person that I am today and would not have gained the knowledge, leadership and social experiences that I now possess. It is because of these three extracurriculars that I have grown into the person I am today, and while I am far from perfect and still have a lot to learn in life, I like the person I am becoming. If you have the time or can make the time, check out that organization that has caught your attention. You never know how it may transform you and your life for the better. Why is Agriculture Education Important? Why is Agricultural Education important? To answer that question, let me tell you a little bit about my experience. I went to Wamogo Regional High School in Litchfield, CT where I was enrolled in the Agriculture Education program. 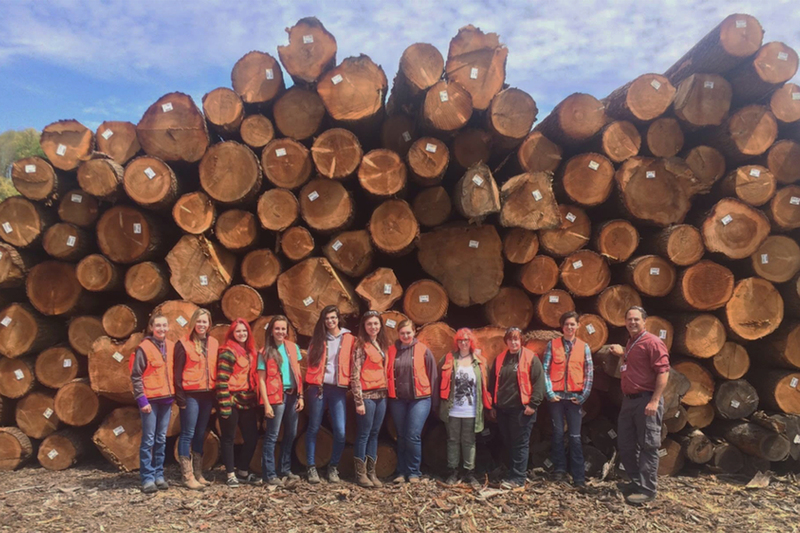 This program, and 8,630 others across the United States focus on teaching students about all aspects of agriculture, food, natural resources and leadership. An Ag Ed experience is nothing like the traditional high school experience. One of my favorite memories was during peak maple syrup season. It was February and there was about a foot of snow on the ground. That did not stop our class from getting bundled up and heading out into the woods to collect sap and repair lines. We then boiled the sap into syrup, bottled it and enjoyed it over pancakes on the last day of class. 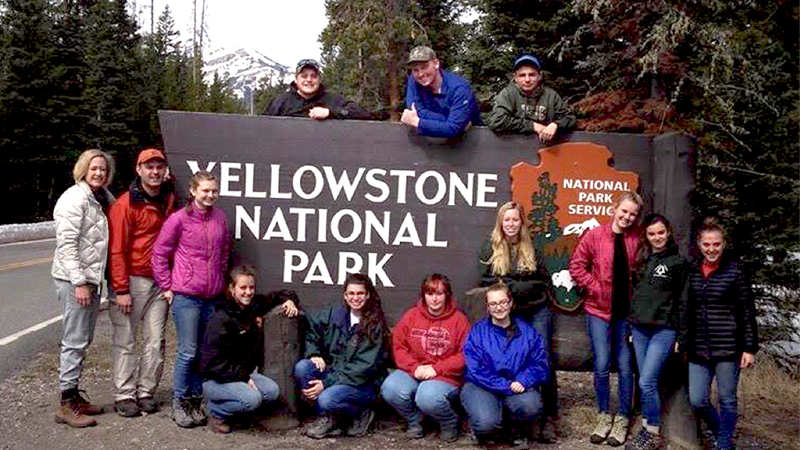 My senior year, we traveled to Yellowstone National Park in Montana/Wyoming over Spring Break. We hiked the Yellowstone Canyon, visited the famous Old Faithful geyser and saw wildlife at every turn. We were immersed in nature in its purest form. It was truly a life changing experience, and I cannot wait to go back there one day. Moreover, my experience at Wamogo would not have been what it was without my advisors. They are the reason I chose to pursue Agriculture Education. I decided to continue my agriculture education at the University of Connecticut where my major is Agriculture and Natural Resources. 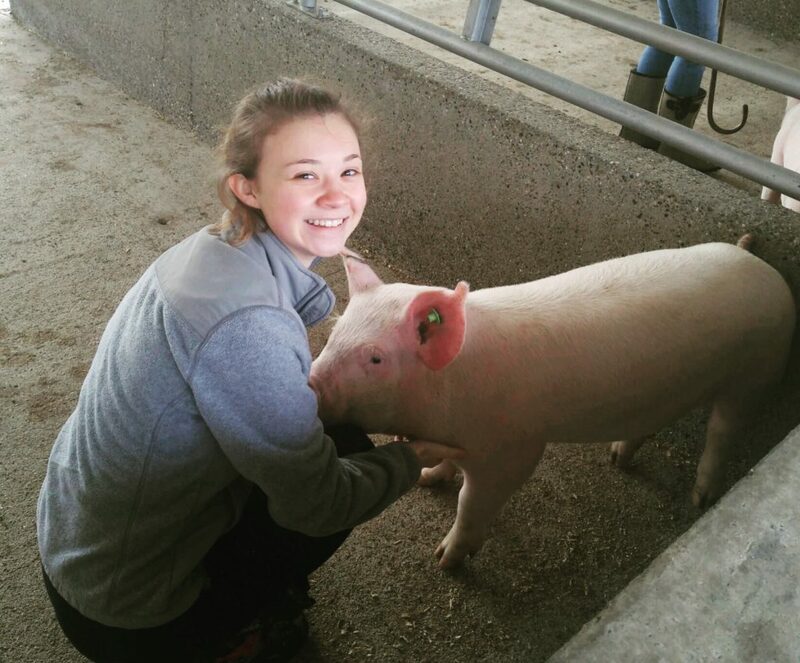 Through the College of Agriculture, Health and Natural Resources, I have been given so many hands-on experiences both in and outside of class. Hands-on education remains a large part of the courses I have taken, from halter breaking an Angus heifer to touring local vegetable farms, there is no lack of agricultural experience here. As for leadership opportunities, I serve on the executive board for UConn Block and Bridle and as a College Ambassador, where I have been able to build my skills as a leader. It is my dream to be a high school Ag teacher, so I can bring my students incredible experiences and give them an appreciation for the agriculture industry. So back to the question, why is this so important? To start, everyone relies on agriculture. Food, fiber and natural resources are things we need every day. Agriculture education programs not only teach students how to be farmers, but also train tomorrow’s scientists, nutritionists, teachers and so much more. A combination of classroom instruction and applied agriculture experiences outside of the classroom build the foundation for educated consumers and agriculturists. Leadership is the final aspect of these programs, and the most universal. Public speaking, job interview techniques, professional skills and knowledge of parliamentary procedure. 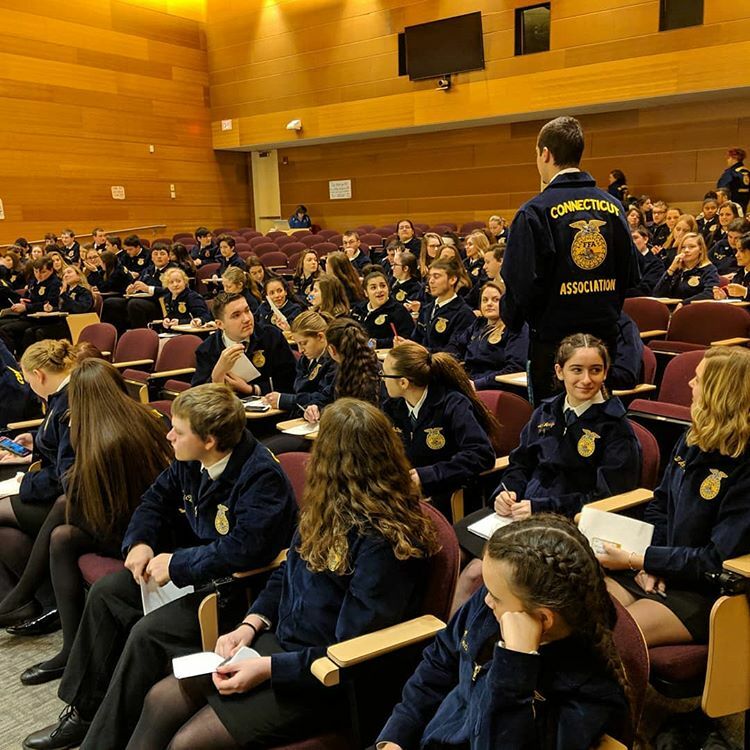 Students in agriculture education programs have the opportunity to serve as student leaders at the school, district, state and national level. High school students have the opportunity to attend leadership conferences, meet and converse with legislatures at the State Capitol, and achieve awards based on involvement. So what does it look like in Connecticut? There are twenty high school programs, with about 3,350 students enrolled in agriculture education courses. The student to teacher ratio is one of the lowest in the country at 30:1 across the state. There are four post-secondary schools in the state that offer programs/certifications related to agriculture with undergraduate majors including all areas of agriculture except for education. The opportunities within these programs, both secondary and post-secondary, are endless. Students who participate in agricultural education programs graduate with the skills necessary to become productive citizens who will succeed in postsecondary education or the workforce. Do you love animals and want to work with them on a daily basis? Do you love Animal Planet and enjoy watching celebrity veterinarians do their jobs? Do you want to help animals and make sure they aren’t in pain? Even if you answered “yes” to all of these questions, that just means you sound like every animal-loving student out there. So how do you really know if you want to be a veterinarian? Well, here’s how I, a lifelong animal lover, learned that being a veterinarian may not be the job for me after all. Like many students in high school with an interest in animals, I considered becoming a veterinarian. I loved working with animals and had a passion for the medical field. I initially thought that by combining my two passions, it only made sense to be a veterinarian. However, like many, I did not do the research and relied simply on Animal Planet to learn about the profession. As senior year hit in high school, I had to make a major decision (literally). What was I going to study at college? What colleges would help me towards my dream job? Who was going to provide better financial aid so that when I take out loans to veterinary school, so I will not have too much debt? All of these questions and their answers are the reason I came to UConn. UConn was going to help me towards my goal by providing good financial aid and having resources that allowed me to work hands-on with animals. I was, however, a little naive about the job itself and all the prerequisites, so I began college will a false sense of hope. As I met with my advisor at UConn, I came to the realization that the pre-vet track was much harder than I had ever expected. I knew being a vet was not a simple task, as they performed surgeries and were responsible for animals’ lives, but I was unaware of the realities of the preparation involved. When my advisor gave me a list of classes that I had to take in order to be considered for vet schools, and then the list of classes I had to take in order to graduate with a Bachelor’s of Science in Animal Science, I lost my breath. The amount of organic chemistry, the extra math classes, the extra English courses, and all the biology requirements were extremely overwhelming. I came from a high school where I was in the top 10%, so it was not as if I did not know how to work hard, but I felt completely unprepared. On top of all of these course requirements, vet schools also expect you to be engaged in extracurricular activities, and most definitely get you feet wet in the profession through internships or work. I could not comprehend how all of this could be possible in just four years. Now, I’m not saying all of this to get students who want to be vets afraid of not succeeding. The reason I provide all this information is so that people realize that becoming a vet requires specific rigors, many of which you may not have considered. The work load starts early on and only goes up as you get closer to your goal. A lot of people also do not realize how many jobs there are in the animal field. Many people think that the only animal-related job is a veterinarian. That is a complete misunderstanding; there are hundreds of career paths you can chose if you want to work with animals. SOME of these jobs include: pet grooming services, veterinary technician, zoo curator, animal trainer, animal behaviorist, animal nutritionist. You could also conduct research, become a professor, run your own farm, doggie daycare, dog kennels, and more. It’s ok to change your career path. You can always go to school again. There are MORE animal related jobs than you think. Being a vet is not for everyone. How to Achieve that Healthy Balance Between School, Work, and Life! Here’s my planner from the bookstore — I’m not sure how I would live without it! I cannot stress enough just how important it is to manage your time wisely, especially in college. I would strongly suggest making a trip to the bookstore and purchasing yourself one of their many planners. Writing down important dates and planning out your schedule ahead of time also plays a successful part in reducing stress. Doing this will allow you to map out when you have free time, as well. Make sure to prioritize your schoolwork and do not procrastinate. You really don’t want to fall behind, especially with a work schedule added into the mix. It is so incredibly important to get a good night’s sleep while under the pressure of school and work. All of the added stress combined with a lack of sleep will cause you to become run down and therefore unable to work to your potential. It’s much more challenging to pay attention in class or during activities when all you can focus on is how tired you are – not to mention the brain fog that comes along with it. So, definitely make sure you are getting adequate amounts of sleep each night to help you achieve success in your college career. It’s a myth that you can make up for lost sleep on the weekends or during breaks – once it’s gone, it’s gone! Eating healthy in college can sometimes be a challenge, especially when there is so little time to prepare meals. With that being said, it is still essential to make sure you are benefitting from your diet. What you put in your mouth has a huge impact on both your mind and body – this will assist greatly in allowing you to accomplish everything that you want to throughout the day. Healthy choice foods can improve focus, provide natural energy, and boost your immune system: all of which is crucial to successfully balancing a hectic college lifestyle. I find that it is beneficial to plan my meals each week and prepare them ahead of time, instead of reaching for more available unhealthy food options. A helpful resource that allows you to explore more of what you should be eating is https://www.choosemyplate.gov/. Most importantly, setting aside time for yourself will help with your overall well-being. Sometimes, we get so caught up in what is going on around us that we forget to take care of ourselves and do what makes us happy – whether that be going for a jog, meditating, or even doing artwork. Throughout your time in college, you will grow so, SO much. It is vital to take the time to keep up with your growing self while you are busy keeping up with everything else in your life! Since I was a little kid, I had always wanted to go to UConn. My parents, aunts, uncles, grandparents, and almost all of our family friends attended this university. In addition, my dad is employed by the university, so that was always an obvious financial incentive. 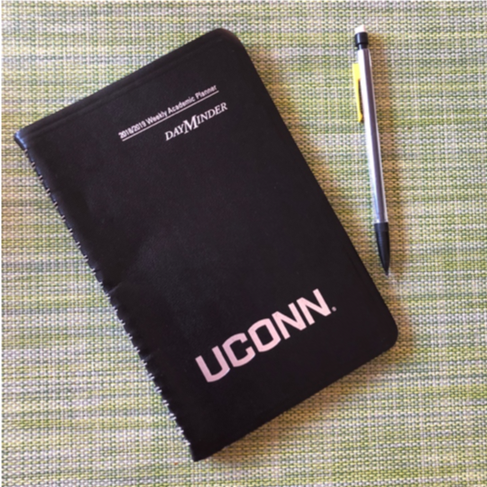 When applying to colleges as a senior in high school, I considered UConn to be my only serious option and applied to other schools as an afterthought. The day I got my acceptance letter in the mail, I sent in my deposit. The only down side of attending UConn for me was that it is only a mere twenty-four minute drive to my house. In addition, from my tiny high school with only 400 students, about fifteen people from each grade go to UConn. While many of my hometown friends were going here, I knew that I wanted to branch out as much as I could. I know people here now that only hang out with people that they went to high school with, and while I love spending time with my old friends, I craved something new. I wanted to be around people that I hadn’t known for the past eleven years. The idea of being in a lecture hall of 500 people I knew nothing about was both scary and exciting for me. For my freshman year, I decided to choose a random roommate who is now one of my best friends. On the second day of school, we sat with a random girl in the dining hall who quickly became the third in our trio. While I did have one person from high school that I was close friends with all of freshman year, I made it a goal to try to seek out new people and create new bonds. I wanted to be able to have the “Big Chill Weekend” that my parents and their college friends have every summer in the Cape. Finding new friends in college can be difficult, but I have been lucky enough to find people and make new connections and groups every year that has truly made the phrase, “you can always make a big school feel small,” true to me. Choosing a college is a daunting task, but it seemed an obvious choice to me. While I have been lucky in that manner and love the school I chose, it is important for people to go somewhere that challenges them in some way. My challenge was entering a school that was about seventy times larger than my high school and being in a place where I didn’t know every detail about every person’s life. In addition, my first semester of college I took the dreaded CHEM 1127, CALC 1131, and BIOL 1107. This course load was overwhelming, and my first exams came back with lower scores than I had hoped for. The transition from high school classes to college courses was a shock, and it scared me that I may not be cut out to be a physician assistant as I had always hoped. It took dedication, a lot of studying, and good friends, and now I find excitement in being challenged by upper level courses on the path to my future career. In order for people to gain new knowledge, they have to do things that are scary and run the risk that it might not work out, but if it is a goal then hard work and perseverance will bring you to where you need to be. Your time is valuable, be smart with it! *When you first arrive at school, you will probably have loads of free time on your hands. Use that time to make new friends and join new clubs and organizations on campus! As the semester goes on, your free time will begin to dwindle down and you will need to manage your time. The best way to manage your time is to track when every assignment or exam is due. This could be through a paper planner and calendar, or an online calendar or study app, such as MyStudyLife. Find what works for you and make it a routine to keep it as updated as possible. This allows you to stay on top of your school work and plan for a successful semester. *Join as many clubs as you want at the beginning of the semester. By mid-semester you should know which clubs you are really interested in and which ones you wouldn’t mind missing to hang out with friends or study. Your time is valuable in college, so if you do not want to be in a club any more or can not find the extra time in your schedule for it, don’t go. Being involved on campus is very important, but be sure not to overcommit yourself to certain activities and prioritize your responsibilities. Do not get behind on your school work. *It’s not enough to just write down the exam and assignment due dates, actually be cognizant of them. School work is a lot more manageable and less stressful if you study a little bit everyday instead of trying to cram everything in all before your exam the next day. Go to class, ask questions, and give yourself plenty of study time before an exam in order to do well. *No one is going to pester you to study; it is up to you to be responsible for your grades. Part of the new independence that you have gained is knowing what your responsibilities are and making them a priority. *A lot of your college experience is going to include your friends. 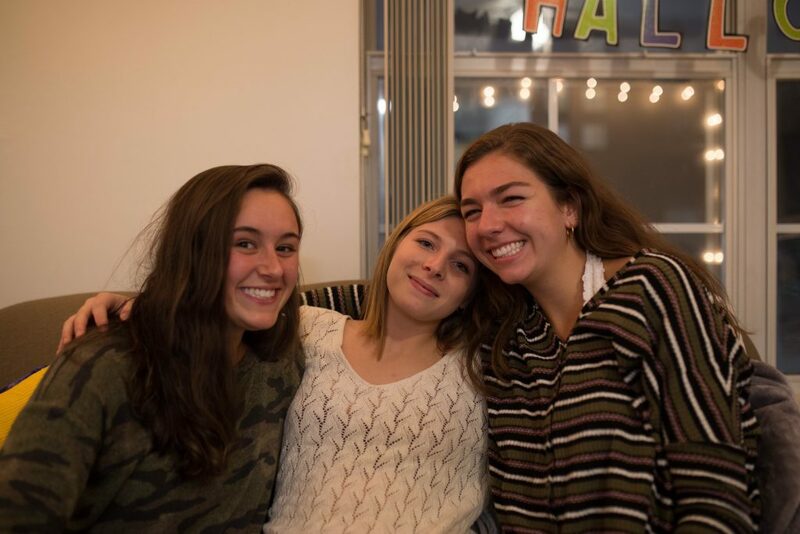 Your friends are important to your happiness and it is important you establish connections with your peers in order for you to truly enjoy college. However, for a good portion of your college experience you will be alone as well. This may be the first time in your life when you are truly alone, but this is important because it allows you know who you are and what is important to you. Get used to every once in a while eating by yourself in the dining hall, or going to the gym or library by yourself. You may need to say no to plans with friends because you personally need to have some time to yourself. Your relationship with yourself is equally as important as your relationship with others, and college is a good time to embrace being alone. *There are so many opportunities for you to have fun on campus, such as joining a sorority or fraternity and playing intramural sports. Make sure you allow yourself to have fun with friends while in college. It is a stress reliever and a good way to develop time maintenance strategies. College is only four years long, so make sure you are having fun and making memories! Good luck new first year students. I hope your time at UConn is exciting and memorable! There are so many feelings that come along with having too many options; you might feel overwhelmed, excited, intimidated or most importantly, that you’ll choose the wrong destination. What if I told you that there was no such thing as a wrong choice? 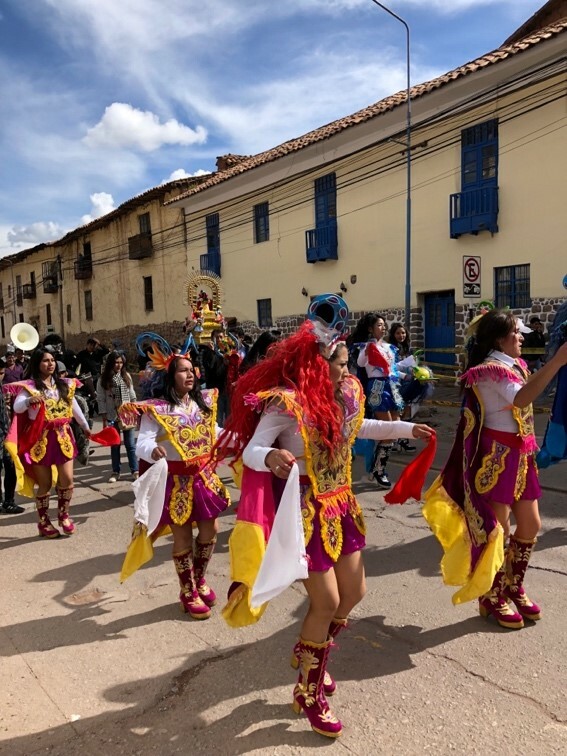 Whether you’re only comfortable traveling a few hours away or you want to go halfway across the world, UConn offers an abundance of travel experiences suitable for all students! Yes, this takes into account your financial worries, preferred duration of travel, foreign language preferences, and personal travel goals. The best part is, you don’t even have to be certain of your study abroad plans upon your arrival to UConn. The Education Abroad team offers so many programs that you can learn more about here. I strongly encourage anyone to browse through the options, and attend an Education Abroad 101 session—if there is a will to travel, there’s a way! The opportunities range from UConn faculty-led semester long programs, to service learning trips that last only a few weeks. There are opportunities available for all majors, and course credits can be applied towards electives, minors, or General Education requirements. If thisis something that interests you, make sure to talk to your academic advisor to keep yourself on track for graduation. UConn also provides wonderful opportunities through community outreach that allow students to do alternative breaks and weekend service trips either locally or internationally. 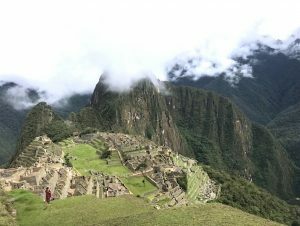 Machu Picchu, Peru – photo taken by me! Last year, I decided to go out on a limb and apply for a UConn MedLife community outreach trip. I had never been out of the country before, but I was looking for something exciting to deepen my college experience and broaden my horizons. I spent about two weeks of my winter break participating in mobile medical clinics in impoverished areas of Lima, Peru. Aside from the clinical experience, I was able to explore Lima, travel to Cusco, and visit one of the amazing wonders of the world—Machu Picchu! 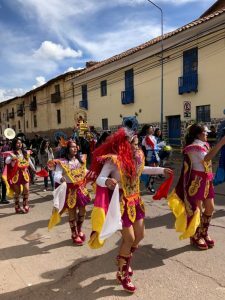 As an Allied Health student with a minor in Spanish, this trip suited me perfectly and left me desiring more excursions. Next semester, I will be participating in UConn’s Allied Health/Pre-Med abroad program in Granada, Spain, where I will spend six months taking Spanish classes and completing an internship shadowing physicians at the Hospital de la Inmaculada. I’m so excited to explore a new country, work on my language skills and do some much-needed soul searching. Anyone considering taking advantage of these opportunities should check out these 5 scientifically proven health benefits of traveling abroad! Leaving for college is always a very emotional time, no matter how far away you are. It’s a time for leaving behind your life as you once knew it and moving on to the next chapter. With love from Connecticut, see you soon! When I left for college, the hardest thing was saying goodbye. Standing in the airport with my bags packed, I knew it would be months before I would see my family and all of my friends from home. Being immersed at school in the excitement and hustle of everyday activities helped, but I still had the aching feeling that something was missing. I missed seeing my friends and family every day, and being so distant from them was a very difficult adjustment. I had to consciously try to keep up with their lives in a way I never had to before, while I was also making new friends and forming relationships in school. Be open about how you feel; don’t ignore the fact that you miss them– embrace it because it means you care. Since being in college I have acquired a long-distance boyfriend, who I only get to see two out of twelve months in the year, unfortunately. While we are very much friends first, maintaining a long-distance romantic relationship can be very different and much more difficult than maintaining ties with friends or family. One of the biggest decisions you can make is whether or not you want to put up with the distance, and it is not something you should take lightly. It’s very important to consider not only the other person and how much you love them but also your own needs. A lot of a long-distance relationship is going without, and only you can decide if you think it’s worth it to wait or not. Ask yourself if you can picture yourself with someone else and if you can picture your life without them. Make sure that this is your decision and yours alone; you can’t let your parents, friends or even your partner sway you one way or another. For this to work, you have to truly believe that this is what you want. Make as much time as physically possible to talk to them. Facetime/call/text as much as you can, hopefully for at least an hour a day. Tell them all the small things that happen to make them feel like they’re with you. Sometimes the most frustrating thing will be when they’re upset and you can’t hug them to make them feel better; try not to take this frustration out on them and instead focus on comforting them with your words by reminding them how much they’re loved. Let them go out with their new friends and make plans with other people. Trust is the number one most important thing in your relationship, and if you let jealousy get in the way, they will end up resenting you for holding them back. Write some letters. I know this sounds ridiculously cheesy, but it’s a way of feeling close to someone that emailing and texting and facetiming just cannot convey. It will mean the world to them, and writing down your thoughts will remind you how much they mean to you. Whether you stay close with your friends from home or your friendships fade or you meet the love of your life ten minutes from your house or ten thousand miles from your house, remember to be true to yourself. What you want and need is the most important thing and if it is meant to be it will be. Italy, well known as the birthplace of the Renaissance, is famous for its art and different styles of architecture. 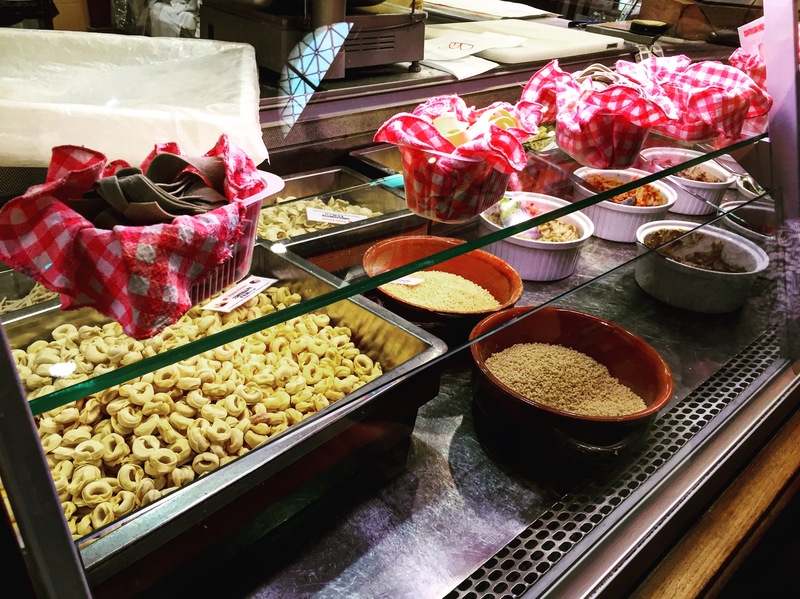 Last year, I spent four months in Florence as part of UConn’s Sustainable Food and Environmental Systems program to explore this beautiful city and local customs and experience an unforgettable food adventure. When we talk about Italy, the foods that come to my mind are pizza and pasta. There are many different kinds of pasta common in Italy; they enjoy spaghetti, but they also cook fusillini, farfalle, pipe rigate, rigatoni, and gnocchi on a regular basis. These pastas are available in the U.S., but we tend not to cook them as often as the Italians do. In addition, rice lovers can’t miss the risotto here. It is not like risotto at most American restaurants: Italian risotto is filled with local mellow cheese, fish, mushrooms and barolo. Meat is also essential in Italy. In Florence, having “Bistecca alla Fiorentina” should be on everybody’s to do list. That is the Florentine steak that comes from Chianina. The ingredients are of a high quality, so Italians use the original recipe to keep its fresh flavor. The meat is frozen for two weeks, then grilled on both sides with charcoal and olive oil until there is no blood. Because the steak is very thick, the middle part is usually raw, but it is definitely soft and flavorful. There are some food rules in Italy. For instance, there is no chicken pasta dish in Italy, because pasta is the main course rather than a side dish. The typical Italian meal structure usually consists of an appetizer, first course and a second course with a side dish. The first course contains staple food, such as risotto, pasta, gnocchi or polenta. Second course includes different meats and types of fish, like chicken, turkey, sausage, steak, salmon or salt cod. Salad is always considered as side dish. Italians don’t have any special dressings on salad, just olive oil and vinegar. There is no take away coffee in Italy, since Italian people drink freshly brewed espresso in actual espresso cups while sitting down, rather than any latte or venti sized macchiatos. Food is intended to be enjoyed and not mindlessly consumed. We also participated in community service during the semester. 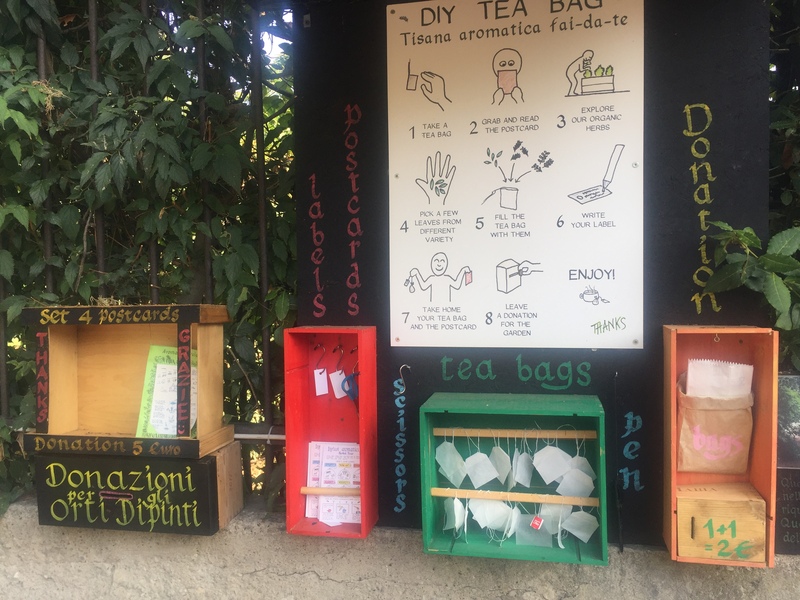 There is a very impressive community garden called Orti Dipinti, which is a sustainable garden. We helped to weed, water and clean, and our group also tried to find a problem in the garden and solve it. 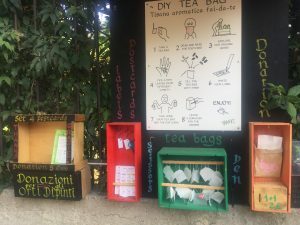 When I first walked in, I saw a shelf on the left-hand side, which had a postcard, tea bags, and instructions on how to make a tea bag. The garden is not large, and it was rebuilt from a waste playground. I was surprised that this small garden has so many different types of plants and vegetables in wooden containers. It is possible to pick eggplants and tomato in the city! There are also lots of unique design elements in the garden, like a bottle wall that used recycled waste wine bottles as plants’ containers. Lingering in the garden is a wonderful restorative moment during a busy day. The program also offered me the opportunity to volunteer at a local restaurant and supermarket, which was the best experience for me to get familiar with this country. I went to La Spada, a restaurant that serves traditional Italian food, and helped to grill steak and place plates. I also went to Sant’Ambrogio market and worked in the seafood section to clean the fish and sell the products. Studying how cook Italian food with the resident chef was impressive. Eleven of us were divided into three groups, and each group created their own menu through research for the final cooking show. The chef, Francesco, made specific recipes for us to memorize and practice. My group made cabbage soup with cannellini as antipesto, pappardelle with white truffle sauce as primo, peposo stew with polenta as secondo, and cream puff balls as dolce. Cabbage soup is a healthy appetizer from a nutritional view since our other courses didn’t have any vegetables. Tuscana is a truffle-growing region, so we could buy the good-quality truffle sauce to make with pappardelle. Peposo stew is a traditional tuscan pepper beef stew, which was invented by the furnace workers who baked the terracotta tiles for the Brunelleschi’s famous Duomo in Florence. Our dessert, cream puff balls, is called bongo fiorentino in Italian, and it was recommended by Francesco. Bongo fiorentino is very popular in Florence. We made the cream puffs first, and dipped them in the chocolate sauce. It was the best dessert I’ve ever had! Staying in Italy is very different from living in the U.S. I purchased the most fresh fruits and vegetable in the local market everyday, and cooked everyday. The lifestyle in Italy was slow and enjoyable. By comparison, in the U.S., there are more fast food restaurants and takeaway coffee. People focus more on working instead of cooking. Each lifestyle has its own characteristics. I enjoy cooking everyday like Italians, but when I have a lot of work to do, it’s nice to buy a cup of coffee at Starbucks since I don’t have time to wait for fresh espresso. I appreciated this study abroad program because I could experience different cultures. For a snapshot of my time in Italy, check out my video!